CalFire requested the Fire Safe Council to expand its area to include the mountain areas from the east side of Hemet to the west side of Palm Desert and from the San Diego County line to Highway 111. This Valle Vista, Sage, Aguanga, portions of Cabazon and Anza in addition to several Indian Reservations. The total area will be 935 square miles. It requires updating the Community Wildfire Protection Plan and working with the new communities to incorporate their local projects into the plan. Work continues to identify members of the new communities who will be liaisons with the MCFSC Board or serve on the Board. The MCFSC is working with FEMA and the Riverside County Office of Emergency Services to identfy homes with shake shingle roofs so that a grant from FEMA can cover the project of upgrading the roofs to composition on a cost sharing basis. 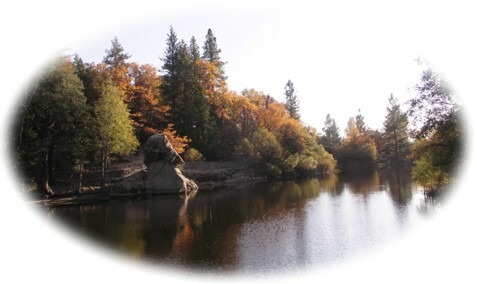 The MCFSC has received several small donations from various groups including the Riverside County Board of Supervisors through Supervisor Jeff Stone's office, the Idyllwild Community Fund, and the Pine Cove Property Owners Association. The money from these sources is being used to repair and purchase new equipment and supplies. The work the "Woodies" do in cutting and spitting wood and clearing brush is very hard on equipment which must be maintained on a regular basis. Education is a primary responsibility of the MCFSC. This year there was a community meeting in the spring, sixth grade students at Idyllwild School participated in a program on fire safety and forest health, the MCFSC had booths at the Earth Fair and the IFPD Open House. The "Woodies" continue to work almost every week and sometimes more than once a week cutting and splitting word for the Help Center (they provided 16 cords during June and July) and abating properties for those who cannot physically do their property or who cannot afford to hire someone.